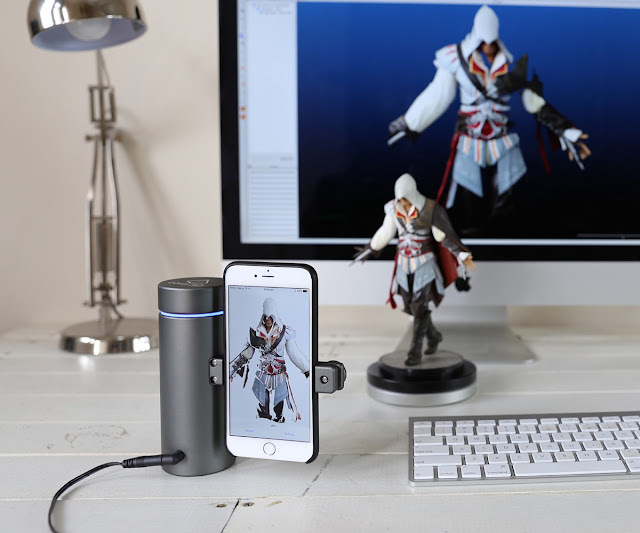 eora 3D is the world’s first high-precision 3D scanner that is entirely powered by a modern smartphone. It lets you capture everyday physical objects and surfaces and turns them into high-quality 3D models, all on your phone, making it extremely affordable. eora 3D scans an array of physical objects and surfaces to sub-100 microns, with scans captured in full-color and rendered as 3D models on-screen. During the company's Kickstarter campaign the device is selling for a base price of $229 (and even eventual retail value is estimated at a modest $330.) How did they do it? 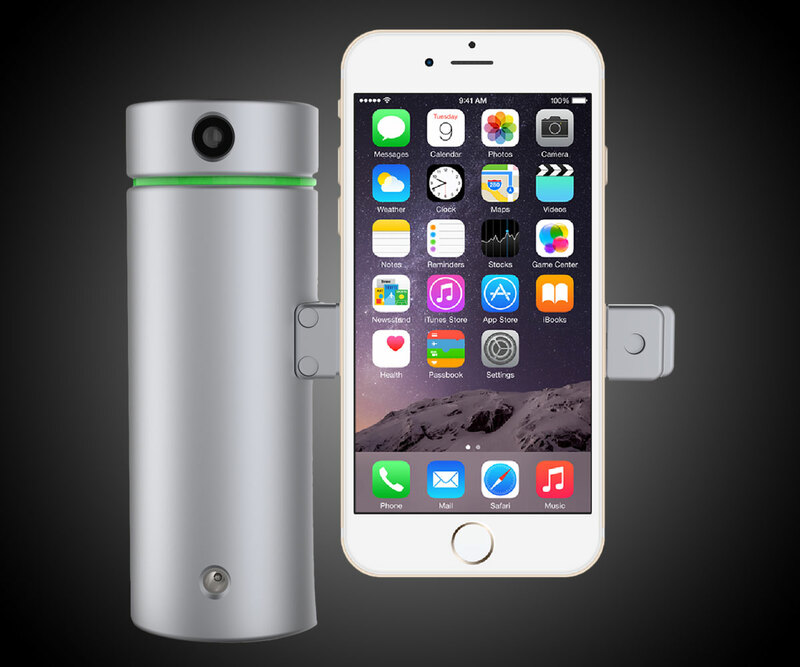 Green lasers and your smartphone. Most 3D scanners use red lasers, but green lasers deliver a much higher level of accuracy because digital camera CMOS sensors, plus human eyes, are twice as sensitive to the green spectrum as they are to the red. Unfortunately, scanning with Luke's lightsaber is a lot more expensive than using Vader's. But eora 3D figured out that if they recruited a smartphone's optics they could reduce their scanner's part count and free up funds for sending the green into their 3D battles. With costs concentrated on the part of the scanner that controls precision and accuracy, eora 3D believes they have produced an affordable model whose quality rivals those selling for thousands of dollars more. - Scan in a variety of lightning conditions, including the outdoors, again thanks to optical sensitivity to the green spectrum. - Scan up to a range of 3'. Combined with a typical smartphone camera's fiedl of view, this translates to around 3' x 3' of scannable space per round. - Stitch together multiple scans in the eora 3D app (or on compatible desktop software) to accommodate larger objects. - Pair with an optional eora 3D Bluetooth turntable to make scanning smaller objects easier.